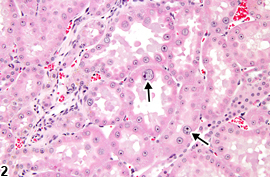 Kidney - Karyomegaly in a male B6C3F1 mouse from a chronic study. 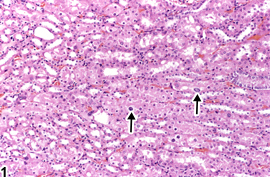 Numerous enlarged nuclei (karyomegaly) are present in the renal tubular epithelium. Kidney - Karyomegaly in a male F344/N rat from a subchronic study. 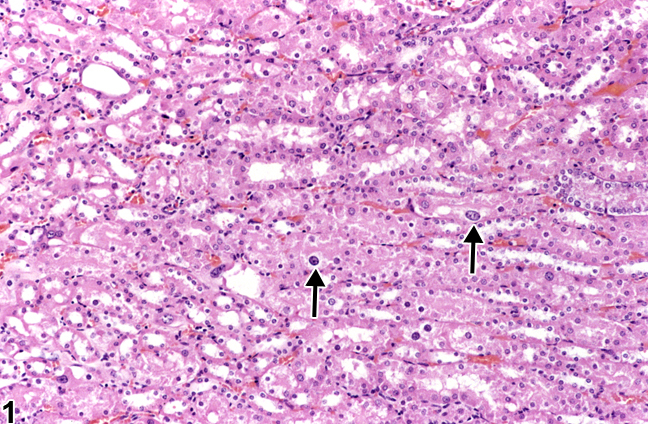 Karyomegaly is present in several tubular epithelial cells.